Kaha Garden is located within Kawainui Neighborhood Park in Kailua, Oʻahu, and is maintained solely by community volunteers. 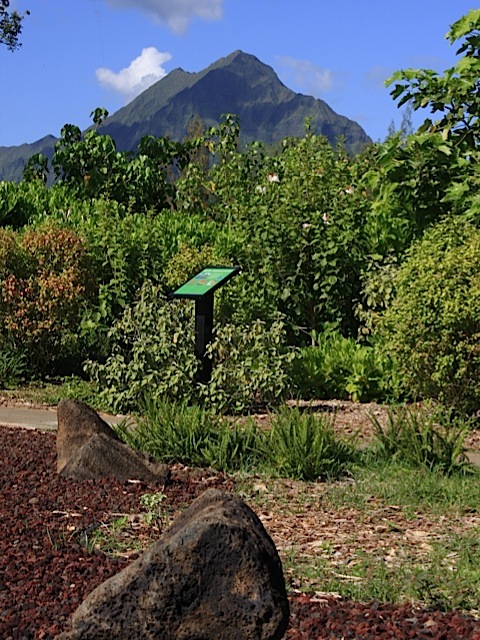 Developed in 2007 by Hui o Koʻolaupoko, the garden is a living example of how individual homeowners can improve the local environment with what they plant. Visitors can walk the garden pathways, guided by interpretative signs, to see how native vegetation and xeriscape plants might appear in their own backyards. 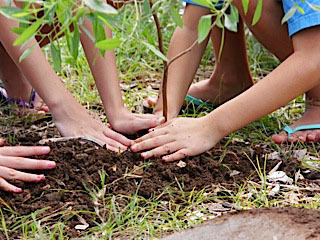 A website—http://kahagardens.com—designed by local elementary school students complements the Kaha Garden experience. Volunteers at the garden are taught to identify native plants, learn their growing patterns, and understand their historic and cultural uses. They pass this knowledge on to park users, and help them with selecting proper plants for their homes and where to purchase them. Future plans include installing additional signage, replacing the cement sidewalk with pervious pavers, and expanding the planted area. In 2009, volunteers committed over 1,200 hours to Kaha Garden! For more information, visit www.huihawaii.org or call Community Coordinator, Kristen Nalani Mailheau, at (808) 381-7202.